Groundhog Day is rather strange, when you think of it. Nevertheless, there's a lot of language involved: the who/what/where/when/why of it, concepts around weeks and seasons, conditional if/then regarding if the groundhog sees his shadow, groundhogs themselves and what category they belong to, comparing and contrasting with other animals and their psychic abilities, etc. It's a good time to point out a resource like Pete's Powerpoint Station, which has a bunch of presentations you can download and review with students. Powerpoint files like these combine text and images and are a nice way to review a topic with students and develop comprehension. 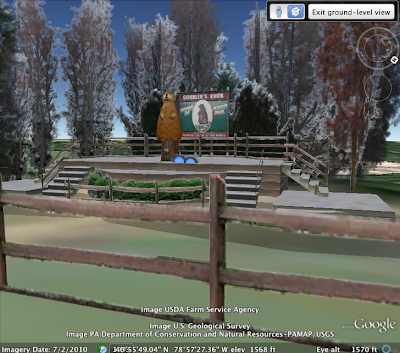 As with any topic related to geography, I was also able to able to find something in Google Earth you could use to discuss the holiday: a model of the stage where Punxatawney Phil will make his appearance. Click this link and you can load the file into Google Earth (which you must have installed first). Use the navigation controls to zoom in (and out, to give a context about where this event takes place) to see the 3D model. It doesn't do anything, really, but is a cool visual anyway. Here's hoping for fewer than six weeks of winter to go! Obviously, we never want to show anything that we haven't previewed ourselves! Start with YouTube- anything you might want to use will be there! If you search for "superbowl commercials 2010," you'll find a whole bunch from last year, and you can search for other years as well. See my post on YouTube if you are concerned about distracting links or if it is blocked at your school- also, avoid showing comments below videos to students. Check out a bunch of food or soft drink-related ads- they are usually pretty family-friendly (don't even bother with any GoDaddy ads)- with an eye to what structures they can be used to teach. Do you see a list? A sequence? A description? A story? If you don't have time to pre-watch a bunch of ads, consider a post-bowl lesson. While you are enjoying your 7-layer dip, watch the commercials with an eye toward text structure. They are sure to be on YouTube within 24 hours, if they aren't already. Check out Yummy Math's lesson plan on Superbowl Commercials for a different take on the topic! Lessons on Superbowl ads can be a great precursor to having kids script and create their own ads for a product for language practice. Enjoy the game, and let's hope for no "wardrobe malfunctions" this year! I've been receiving a lot of requests lately about lists of apps for various purposes, and a recent discussion on Twitter centered around a need for a list. The SLP Apps List is a new resource for anyone interested in apps for mobile devices (iOS- iPad/iPhone/iPod, Android or BlackBerry) that have clinical applications. This is a collaborative document housed in Google Docs, and all can access or edit it, with the idea being that it will grow with everyone's contributions (so I am not really in charge of populating it, WE are). 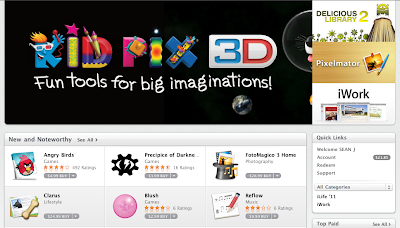 Need ideas for new apps? Check it out periodically and watch as it grows! Got an app you like? Sharing is caring, so go to the doc and you can type the description right in. Feel free to edit but please not delete others' contributions. There are some guidelines at the top of the document about how to contribute. There's not much there yet, but I am looking forward to seeing it grow! It's embedded below, and here, again, is the direct link (click through to edit the list). I am a little late to this party, having just seen this film on disc, but The Social Network is still relevant not only because it is sure to be nominated for Best Picture this week, but also as an interesting study in communication that would interest SLPs. 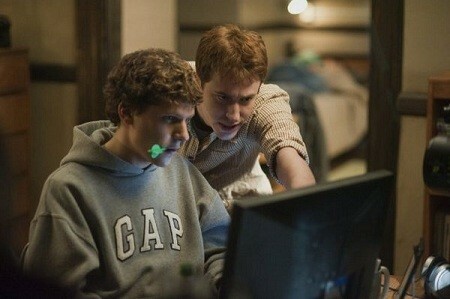 The Social Network is, of course, the story of the founding of Facebook, detailing Mark Zuckerberg's creation (theft?) of this culturally defining website, and the fallout from friends and classmates who claim he stole it from them. Let's start with the importance of Facebook itself. I recommend SLPs checking out Facebook at least to get to know the interface and culture, because so many of our students will be increasingly using communication tools and social networks. The skills that we teach are relevant to Facebook not only for writing and communicating clearly with "friends," but also for the realm of social pragmatics and how our kids should be interacting online. I don't think we need to "teach Facebooking," per se, but it should be in our minds as a current context for communication for many many kids and adults. 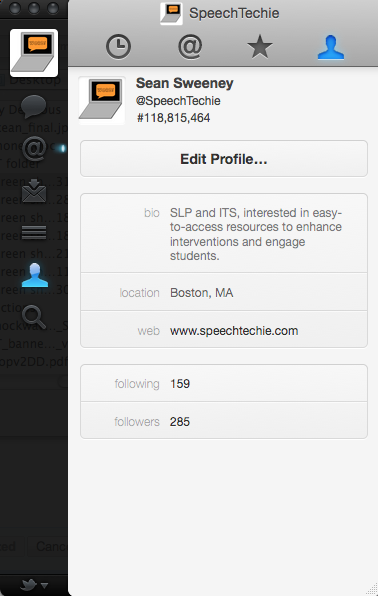 In some cases, lessons on using online social networks will indeed be totally on point for our students. I have to say that Facebook has really helped me get the word out about this blog. When I got started, I instantly made a Facebook page (not profile) which would be used to alert "fans" (now people who "Like" the page) of new posts and information. From my small network of SLPs I know personally, the page has grown virally to 500 "Likes." That's a great growth in readership that I couldn't have accomplished without Facebook, and it really speaks to the site's utility as part of our Personal Learning Network (PLN). So thanks for that, Mark Zuckerberg. Now to Zuckerberg, who may himself be of interest to SLPs. I am definitely not the first person to say it, but watching and listening to Jesse Eisenberg's portrayal of Facebook's founder reminded me acutely of so many of my teen clients who struggle with social-cognitive issues. The character's overall demeanor, prosody, affect, and nonverbals, inability to read and respond to others (after pushing his girlfriend quite a bit too far with his lack of a verbal filter, and hearing she was breaking up with him, he asks "Wait- is this real?? "), and rigidity (not being able to deal with a projection of Niagara Falls during a Carribean-themed social)-- it all reads as someone who is sky-high-functioning, obviously, but sets off our radar nonetheless. It was interesting to see that two separate reviews- The Boston Globe's and Entertainment Weekly's- actually went as far as to use the word Asperger's, while Peter Travers of Rolling Stone talked about it without talking about it, in reference to the breakup I mention above: "...he is driving his girlfriend nuts by avoiding eye contact, juggling a dozen topics at once and ignoring her reaction to virtually everything." The real Zuckerberg is notoriously socially awkward, as you can see for yourself. My point is not that Zuckerberg, in The Social Network or in real life, struggled so much that he could have used some help from an SLP. I'm definitely not saying that people with social-cognitive deficits are prone to the kind of backstabbing that the Zuckerberg character exhibits in the movie. It's just that it's hard to look at his story, his communication style and decisions as portrayed in the film- which I realize is to some degree fictional- and not view it all through the lens of language, in all its domains. It's an excellent film, so check it out. Saturday Screencast: Dunkin Donuts (Part 2) and Sketchup for previewing a trip! In Thursday's post, I talked about how a community trip to Dunkin' Donuts was enhanced by following the kids' interest in a simple and free calendar offered at the store. 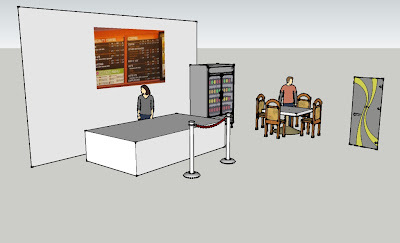 In today's Saturday Screencast, I'll show how Google Sketchup was used as a visual tool to preview the trip with the kids and construct the model above. We traditionally always take some time to preview a community trip- it's essential to talk about the agenda and the expected and unexpected behaviors (see Michelle Garcia Winner's work) of the place and role play where possible. Sarah Ward's excellent presentation on executive function strategies at ASHA 2010 introduced a terrific strategy- teaching situational awareness through the acronym STOP: Space, Time, Objects, People. By modeling the "Space" aspect of the DD we were visiting, we were able to use a more visual (not just a verbal discussion) map of the place to preview where we would stand until we were ready to order (a key point as the kids, left to their own devices, often just go up to the counter and say "ummmmmmmmm..."), how we would wait in line, where we would sit, etc. In that way, we also were previewing the Time aspect of the trip, because we talked about the sequence of events. The kids really enjoyed making suggestions and watching the scene be built in front of them, and the 2D picture you can save (in Sketchup, that's File-Export-2D Image) was great to share with parents. I also found that kids' managed the trip better after this visual preview than I had seen in the past (and kids who were absent for the preview, not as much). If you're interested, check out Google's great tutorials that will get you more comfy with Sketchup. To blow your mind a little, there have been quite a few developments in what is called Augmented Reality (AR)- basically laying computerized data or imagery over what we see with our eyes. 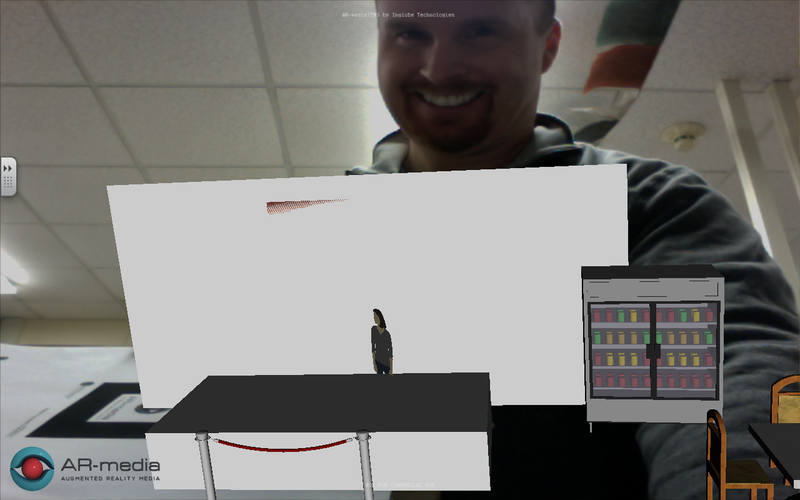 There is an AR plugin for Sketchup that allows you to use your webcam and a marker (a piece of paper with a graphic trigger) to actually appear to be holding and manipulating the Sketchup model. I can't say the steps to installing the plugin are easy, but if you want a challenge, here's where to start. And here I am holding a whole Dunkin' Donuts, so to speak, in my hands! Edublogs' 30 Days to Kick Start Your Blogging-Avatars! For this Edublogs Teacher Challenge (Kick Start Your Blogging), I'm writing about avatars. Avatars, in case you didn't know, are digital representations of yourself online- a cartoon or photo (of yourself or someone/thing else) makes a great avatar. It's really up to you. I've actually written about avatars before because I think they are a great way to get kids talking and possibly writing about themselves. An avatar resource I have been interested in using for sometime is Voki. Voki is a free resource that allows you to create an animated avatar from a wide variety of choices, customize it, and record or type a spoken message. Voki has great potential for use in language activities, as it can be an end product for any kind of narrative or expository composition. For example, you can pick one of the "VIP" characters and have students deliver a short biographical sketch, focusing on the text structure of sequence or biography schema. There are also animals (as you can see below), and kids could compose a descriptive or creative narrative oral presentation. Whether you type or record it, it would be a valuable project! Here in the Northeast, we do love us some Dunkin' Donuts. I am saying this post is Part 1 of 2 about some community trips I recently made with some social skills groups to Dunkin's, but that's a little deceptive because I have written about Dunkin' Donuts before. Let's call it DD for the rest of the post so I don't have to keep typing that, and this post is not really about that wonderful pink and orange place anyway. In our semesters at my private practice, we try as much as possible to schedule a few community trips with our clients, young or old, for a few reasons: 1) they are fun, 2) they allow skills to be transferred to another setting and 3) they provide a lot of teachable moments about social behaviors in the setting itself. Unfortunately we are located in an industrialish block, which limits choices, but there is a Star Market, Brugger's Bagel's, Dunkin's, and an ice cream and sub shop all within walking distance (walking and talking is a whole different story than sitting around a table, no?). So mid-December found my groups and I trekking to the little Dunkin' Donuts- more on the whole agenda of each session tomorrow, but suffice it to say it involves walking, ordering, eating, talking, a game on iPad (for backup) and walking back. Our winter break and when groups would start again (the passage of time is never easy for these kids)! The seasons, what months they encompass and when each officially starts. The graphics accompanying each month and why they might have been chosen (association/schema/background knowledge). Why are there weights on this page? What are adults thinking and planning in January? Holidays and School vacation times and what each person pictured themselves doing at those times. How to look at the calendar together: Please wait until people are done talking about the month before turning the page- you'll know that the topic of that month is done when there's a pause (and what exactly is a pause). Why DD might insert some "fake" holidays in there like National Donut Day- What's DD's plan? Which coupons the kids were interested in and which their parents would like better (perspective-taking). I was pleasantly amazed that one of the kiddos knew that the birds' conversation had to do with Twitter! At the end of the session, the kids each picked up a calendar and delivered it to their parents, showing that they were "thinking about" them! It was a great ending to our community trip. I share all of this not because a DD calendar is all that important in the scheme of things, but because it advances one of my main points of this blog. That point is that oftentimes, materials not designed specifically for speech and language can provide the best contextual, engaging, and goal-related activities for our kids. Language is EVERYWHERE, and we can use so many contexts to apply the strategies and skills we teach. Another point is that we should always be flexible in the way our sessions run, especially in these naturalistic social groups. Sometimes, following the kids' interests and allowing a Dynamic Detour, like the one that this session took, can make things turn out so much better than your original plan! What are your favorite community trips? What surprising Dynamic Detours have you enjoyed in your therapy? On Saturday: how we prepped for our community sessions using technology. Disclosure: The author was NOT compensated by Dunkin' Donuts for the content of this post. Sadly. On the Mindwing Blog, click on over to move past character and setting and talk about something actually happening on "a ho-hum day." This post outlines some resources for working with kids about initiating events/Kick-Offs (closely aligned with problems in real life and curriculum-based stories). On the ADVANCE blog, the continuing series on Google tools for SLPs touches on Google Maps, which is not just a social studies tool! Do you know the story The Scrambled States of America by Laurie Keller? Read this post and contribute to a collaborative Google Map about the story! 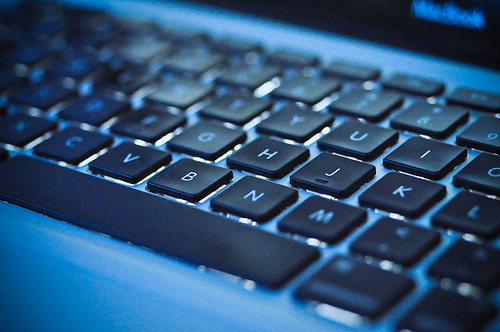 Tackling the Communicative Function of (Blog) Comments, over at the ASHAsphere blog. Please Comment! 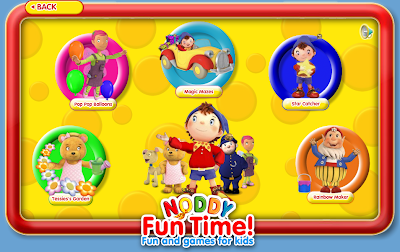 Noddy Fun Time is a nicely-designed and fun site from the UK that would be great for early learners. Pop Pop Balloons- choose a balloon color and shape and hold down the mouse to blow it up. The longer you hold, the larger the balloon will be. Tessie's Garden- Plant seeds of various kinds and create patterns in a garden. Water them to watch them grow. Magic Mazes- Drive a car up/down/left/right in a path to collect "parcels"
Rainbow Maker- Mix colors together to make your own customized rainbow. I may be seeming to be going off-format by sharing a movie review, but technology is a broad term, and one that certainly plays a part in The King's Speech. 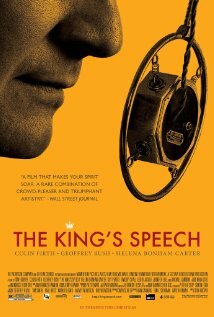 There is not a lot in pop culture that is so explicitly about communication disorders, which may be just one reason why our profession is not well understood, and I think we should be very grateful for The King's Speech. The film is attracting a very wide range of moviegoers because of its deserved acclaim, and it is sure to give that other movie about communication and technology, The Social Network (I still have to see this but am really excited to do so), a run for its money in several Oscar categories. The movie itself transcends the dryness of many dramas about the British Monarchy, thanks to its humor and the excellent performances of its three leads, Colin Firth, Helena Bonham-Carter, and Geoffrey Rush (so well put-together in this film that my friend and I failed to recognize him). The story, also, is brisk and interesting, with a sense of urgency lent by the increasing communicative demands placed on the King and his need to find a way to improve the fluency of his speech. With the growing power of Hitler and need for leadership from the crown, literally, the world was somewhat in the balance. From a Speech-Language Pathologist's perspective (though I must admit that the incidence of stuttering in my various settings has been so low that I that I always tread carefully and with a LOT of guidance), there is much that seems on point in the depiction of the King's problem: its origin and complicating factors, failed experiences in "therapy," and its presentation. Though Lionel Logue lacked credentials (were there any to be had in the 1930s? ), his techniques- the focus on relaxation, diaphragmatic breathing, manipulating audio feedback, onsets, singing, and not least of all, counseling- were also similar to modern methods and fascinating to watch. One of my favorite parts was when Lionel denied his client the freedom to work with a model plane on his desk and, upon getting the "production" he was going for, told His Royal Highness, "Now as a reward you may apply some glue to these struts." Does this motivational technique and use of reinforcement sound familiar to anyone? Technology plays a huge role in the film, providing both a positive revelation to the King in terms of the fluency he could potentially achieve (with removal of auditory feedback) and a constant source of stress with the expectation that he learn how to speak on the radio. I'm interested now in checking out the book to see how King George and Lionel continued to work to tackle and/or utilize this technology as the war progressed. I definitely recommend this film! Now I probably only have to see 7 other movies to be ready for the Oscars. Edublogs' 30 Days to Kick Start Your Blogging-Effective Posts! For Activity 2 in the Edublogs 30 Days to Kick Start Your Blogging Teacher Challenge, I am choosing to highlight an effective post from a blog that I read. 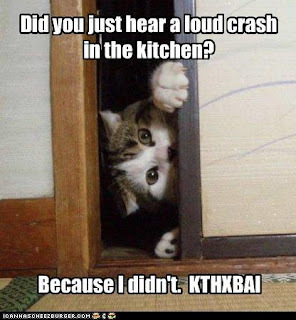 One I loved recently was SpeechGadgetDeb's post: I Can Has Cheeseburger for Language Skills. What do I think made this post effective? The post starts by providing a clear context and "big idea" before presenting the resource: humor is motivating. Deb gives a great description of the site, along with images that provide examples and attract readers to explore the site. Some tech resources require a disclaimer, and Deb provides one! It's then in the readers' ball court to make sure she or he uses the site appropriately. The post ends with not one but four creative ideas on how to use the site specifically to target language skills. In the end, Deb has directed clinicians to something new and fun, and provided all the information necessary for them to use it right away. A great post! This is not to say that posts that do not have the characteristics bulleted above are ineffective. Because mine is a resource sharing blog, I chose a post that shared a resource! Edublogs' 30 Days to Kick Start Your Blogging, Teacher Challenge- Life as a blogger! The Challenge is open to anyone who wants to increase their skills – blogs will be used for reflecting your progress while learning and connecting with each other. However blogs don’t need to be hosted by Edublogs to participate! Participants can complete as many of the tasks as they like and in any order. I have always liked writing, and studied Journalism and English as an undergraduate. I bumped into a wall when I realized I didn't really like the "go get the story" piece (and the often rigid writing style) inherent in Journalism. 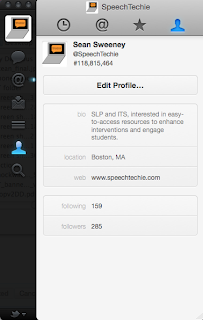 However, that love of language led me to pursue Speech-Language Pathology (makes sense, huh? ), and I found the writing aspects of the program came pretty naturally. I put writing for myself on hold for some years, until my grad program in Instructional Tech, when one of my courses involved keeping a diary about writing. A few of my friends were playing around with blogging using LiveJournal, and when I gave it a try, it proved a really good outlet for me. Some years later, about a year ago now, I was looking for a different kind of outlet, one in which I could share my ideas and experiences about how technology could enhance interventions. I decided on a blog because it seemed to be a good format for describing, in short, a lot of the great resources that I had found. What is also great about the format is that ideas can (hopefully) reach readers almost instantly and you can let me know what you think about them! Where do I want this to go? That's TBD. I have really enjoyed making some presentations lately and wonder if that can be a regular part of my work. So that's my life as a blogger. I'm really thankful to you all for reading, as well as to the others out there doing this who provide inspiration. Singing Fingers is a FREE app from the folks at the MIT Media Lab's Lifelong Kindergarten Program, a very creative place. The app allows kids to "fingerpaint with sound"- as you trace a design, sounds you make are recorded by the app. When you re-trace your drawing, it plays the sound. Singing Fingers is an iPhone/iPod touch native app; it also runs well on iPad. I see this app as having a lot of potential in stimulating and reinforcing speech sounds, but I have to admit, I don't have a lot of artic/phonology/apraxia students historically or lately! So, experts (with access to an iOS device), give this app a try and please let us know what you think in the comments. I look forward to hearing how you might use this app, or why you might not. Here's an article on Singing Fingers in the New York Times. Thank you to Lillie's iPad for making me aware of this app. I touched on the usefulness of BrainPop in the FIVES Booklet, and it is definitely more so if your district has a subscription that allows you to access any movie. However, BrainPop and its spin-off, BrainPop Jr. both feature a free movie each week that SLPs can take advantage of and perhaps use to lobby for a subscription. Both sites are a repository of engaging, animated films that discuss topics in a visual way. Being primarily expository, the movies are a great context to teach comprehension strategies such as identifying text structures (list, sequence, compare-contrast...). Their language topics themselves are ones that are appropriate for interventions. 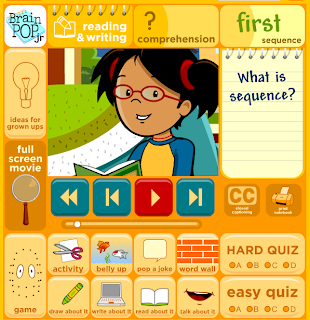 THIS WEEK ONLY, BrainPop Jr. is featuring its sequence movie free of charge. 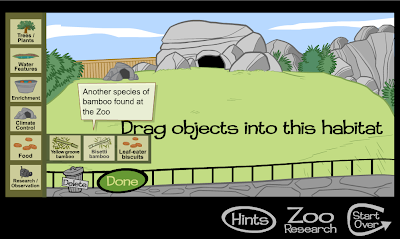 The Jr. site also features a number of interactives: quizzes, a game, and suggested writing, drawing and reading extensions, among other things. Check out BrainPop Jr. weekly to see if its free topics align with your curriculum and would provide a context for strategy teaching. 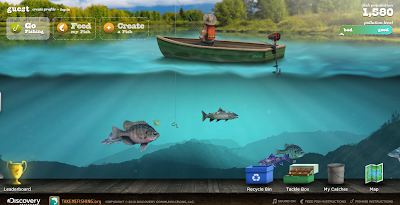 I was never a fisherman, but Thrill of the Catch from Discovery Education is a really fun resource. 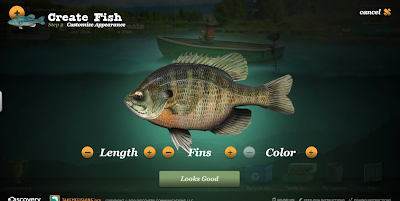 The site allows you to create a fish from a chosen species, release him into the lake, then do some fishin'! It's really easy and not frustrating to catch fish, and then you just "throw them back" after finding out their names and who created them. The site also allows you to move to different areas of the lake and on to advanced boats. A range of descriptive vocabulary can be targeted to describe the fish, and spatial, temporal, and causal words can be used while fishing. The site also has potential to teach geography, with reference to different areas of the lake, and science with regards to species and biodiversity. This site would be great to use along with play therapy, perhaps a camping set, or a story or informational book about fishing! ...and so far I am a little underwhelmed by what it has to offer. But let's give it time. For those who were not waiting with bated breath like I was for this release, the Mac App Store is a new functionality of Mac laptops and desktops whereby you can access an App Store on your computer and download "Apps" (you must be running Snow Leopard 10.6 and then perform a Software Update-click on the Apple in the upper left corner- to access the App Store). The definition of the word "App" is definitely evolving, [edit: at least from the perspective of us not-highly-technical people]. Before mobile devices there were Applications-web browsers, MS Office, or other games and programs installed on your computer. Mostly people called them programs. With the recent explosion in mobile technology, people developed a sense that an iPod Touch can do much more than play music, just as an iPhone or Android is more than a phone. This expansion of the devices' usefulness was due to the availability of Apps, mini-programs you can install on your phone to interact with the internet in focused ways (as the Pandora music App or Weather Channel does), or conduct off-line computing with Apps that don't need to be connected to the Internet continuously (say, Cookie Doodle or Angry Birds). At about the same time, we started to hear the term "Web App" which I think of as a website you can use to create something and save that data, such as Kerpoof or Blabberize, also known as "Web 2.0 tools." One advantage of all these types of Apps has been that they are focused and largely free or inexpensive. My sense so far is that these Chrome Apps really are just bookmarks! The Google Reader App brings you- guess where- to Google Reader! No difference in the user interface. 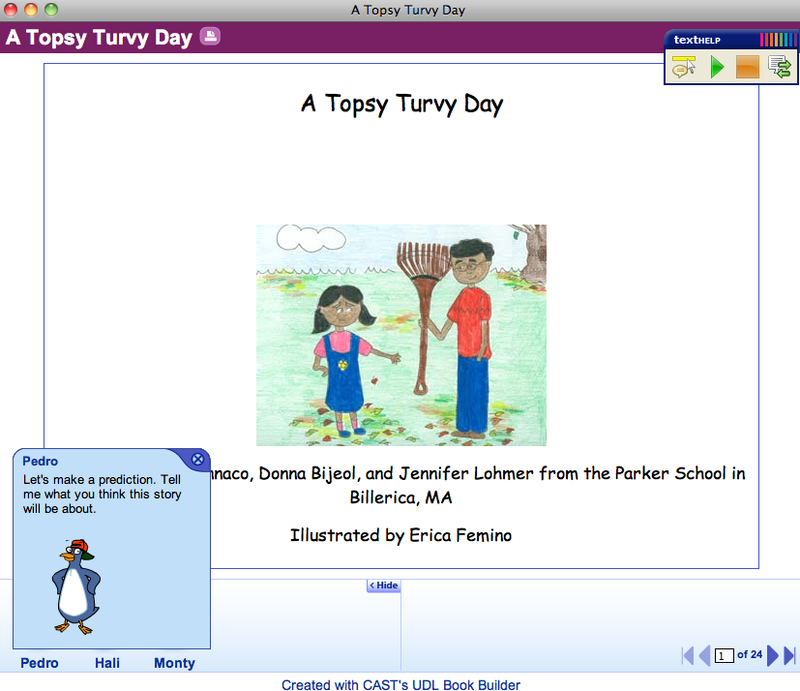 Some Apps, like Autodesk Homestyler, bring you, again, to an interactive website that has potential for a language project. 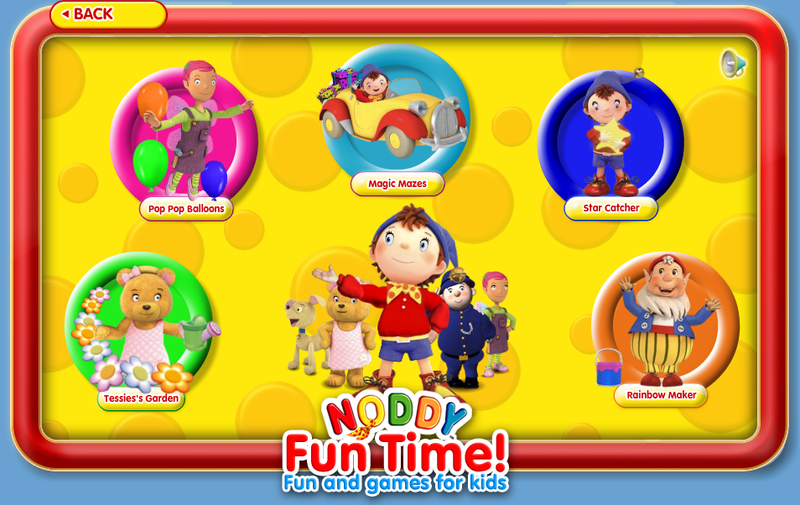 Others, like PBS Kids Play, bring you to an entry portal for PBS content that you have to pay for. 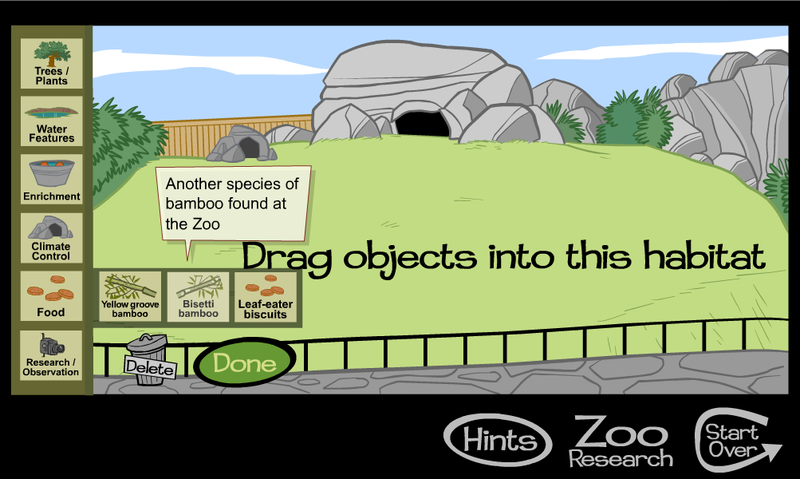 WHY would we do that at this point, when the PBS Kids website itself is so rich that I haven't even begun to mine it? I suppose I am spoiled. People do need to make money. But I think as educators and clinicians we can do better given our limited funds, and I do trust/hope that the Mac App Store will do better also in time. But for now I will return to browsing the App Stores on my iPhone and iPad, and keep looking for free web sites for you to use! And let's keep calling an App an App. Check out these well-written analyses of the good and bad points of the new Mac App Store. I have recently done a lot of writing about the benefits of Google for SLPs, but as a counterpoint I want to point out a different (non-conflicting) resource: Wolfram Alpha. 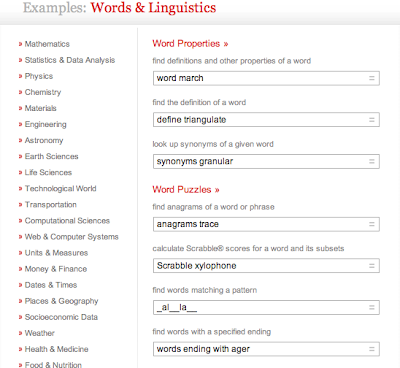 Wolfram Alpha looks like a search engine, but is actually a "computational knowledge engine" that returns easily readable results for many questions (with more answers each day as the site grows)- not webpages as Google does. Wolfram Alpha is best explored in order to be understood as a resource for SLPs, particularly in teaching students the ever-important skill of categorizing, though I think its applications go beyond that to encompass many more language topics and research skills. 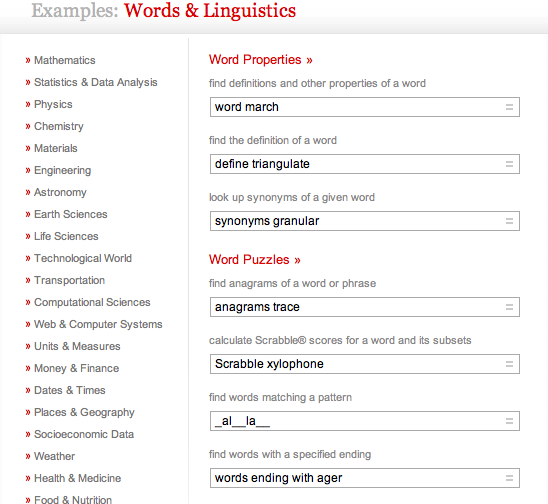 Check out Wolfram Alpha's example page, which allows you to click through and view a large variety of "computations." You can try out a search of your own "from scratch" at the main page. Here's a little video on Wolfram Alpha. This resource is so broad, it's almost hard to fathom. How do you think you might use it? Let us know by leaving a comment!